Are you the type of person who takes Wine Wednesday seriously, in an almost religious way? You’re definitely not alone, which is why we’ve found 10 t-shirts for people who love wine that you’re sure to love almost as much. Enjoy looking through these while sipping your favorite red or white, then customize your favorite in your own unique style! We take no responsibility for what you do while under the influence. 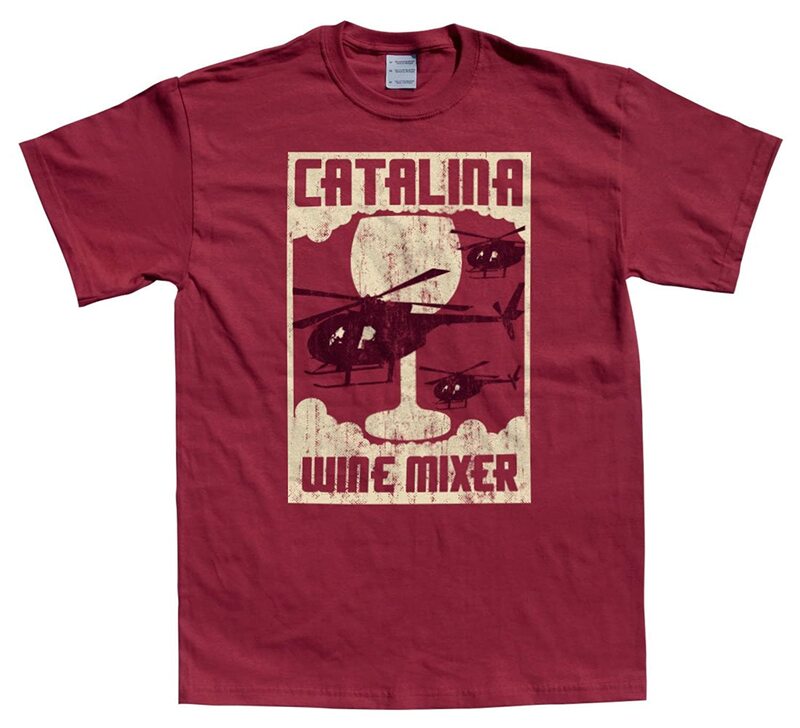 Whether you’re a fan of wine or comedy (or both), you’ll get a couple of laughs and pats on the back when you wear a t-shirt that references the Catalina Wine Mixer from Step Brothers. Commence the endless movie quoting–we hope you’ve prepared yourself for this. How do you enjoy wine? It really is a matter of preference, and your personal preference is important! Whether you’re a purist when it comes to pairing wine with its perfect suggested glass, or are quite content with a simple solo cup, you’ll find your perfect wine-drinking vessel match on this t-shirt! Consider this: if vampires were real, could having a wine blood type protect you from them? Nobody can say for sure, but if you’re the type of person who enjoys a daily glass (or bottle), then it’s quite possible that your blood type may be closer to wine than blood. Mature or not, can we agree that this t-shirt is great? It’s important to have some humor about life, and it’s not too hard to be that way after a little wine consumption! If you’re a true wino, you may often feel the need to balance it out with a bit of exercise. It’s not as hard as it looks! And the end result is more wine. It’s the perfect workout. It’s simple math, really. Wine + time = better wine. You + wine = better you. Any questions? Or just another glass? …Sometimes I even add it to the food. Are you a fan of cooking? This t shirt is perfect for the cook who enjoys the process and wants to add a splash of fun (and wine) to any meal. 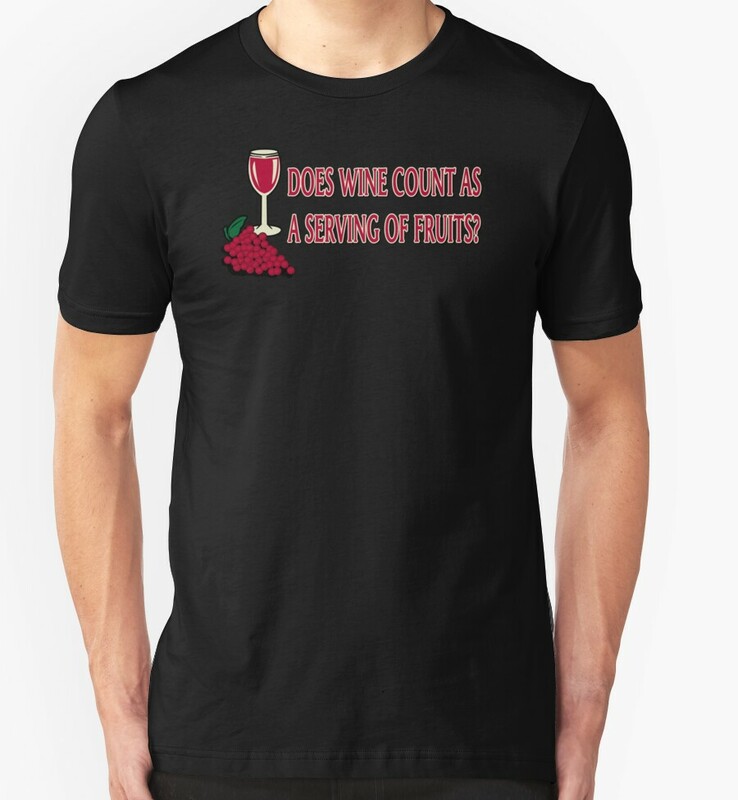 If you’ve ever asked yourself the existential question, “Does wine count as a serving of fruit?” you’d probably rock this wine t-shirt. 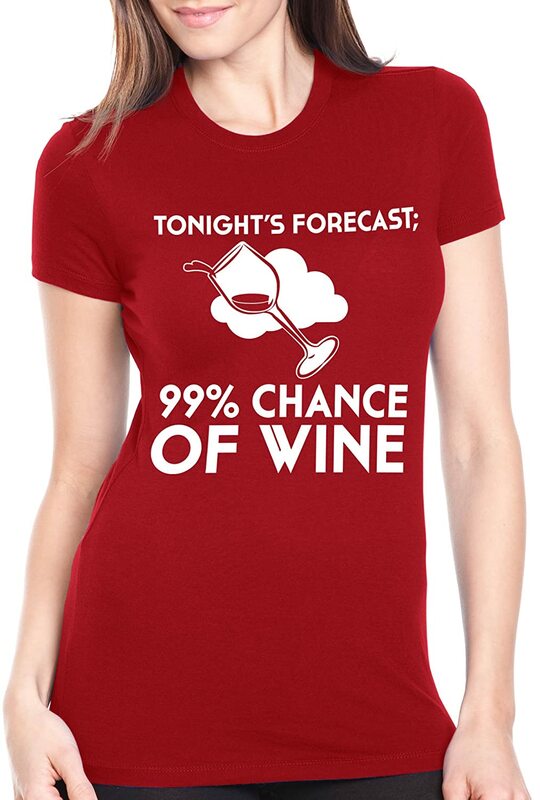 This tee is definitely a conversation piece when surrounded by other wine-obsessed people. What’s the most important day of the week? Wine Wednesday, of course! Whether you keep your wine consumption to one day of the week, or more likely not, this t-shirt is a staple for any true wine-lover. It’s impossible to predict if the weather will change suddenly. What’s not impossible to predict? The amount of wine you’ll be consuming tonight. At the very least, there’s a near-100% chance that it will be happening. 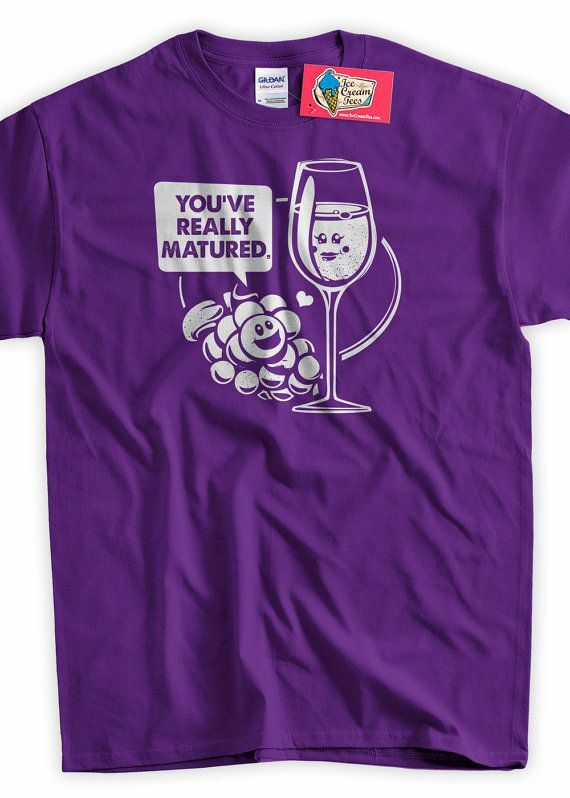 Have you found some new favorite wine sayings to make t-shirts for people who love wine? Even if you’re not a wino, we bet you know someone who’d appreciate this wine humor! 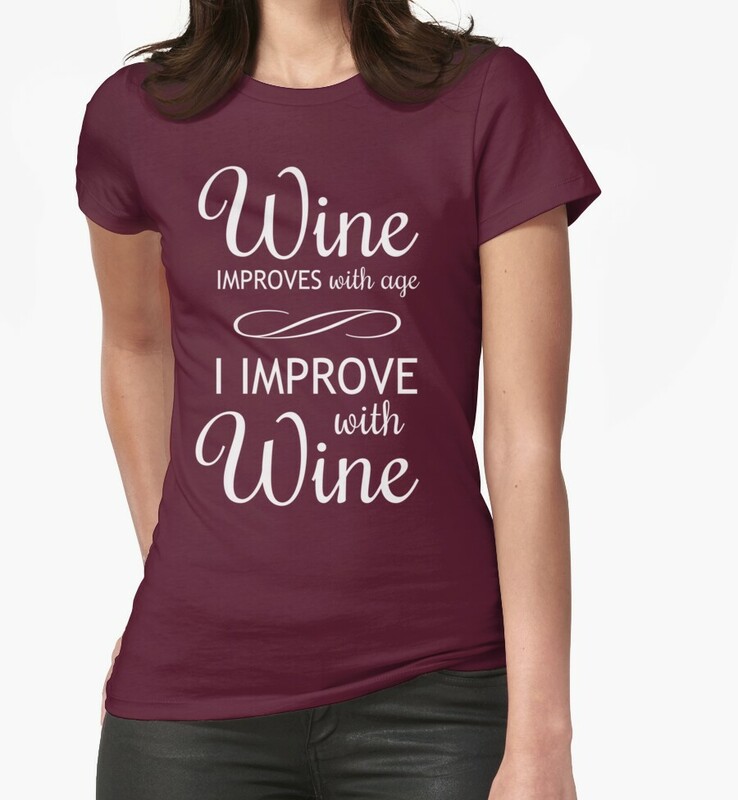 Is there a fun quote that would add to this list of t-shirts for people who love wine? Share your thoughts in the comments!